The very first CAD Design Fair ! 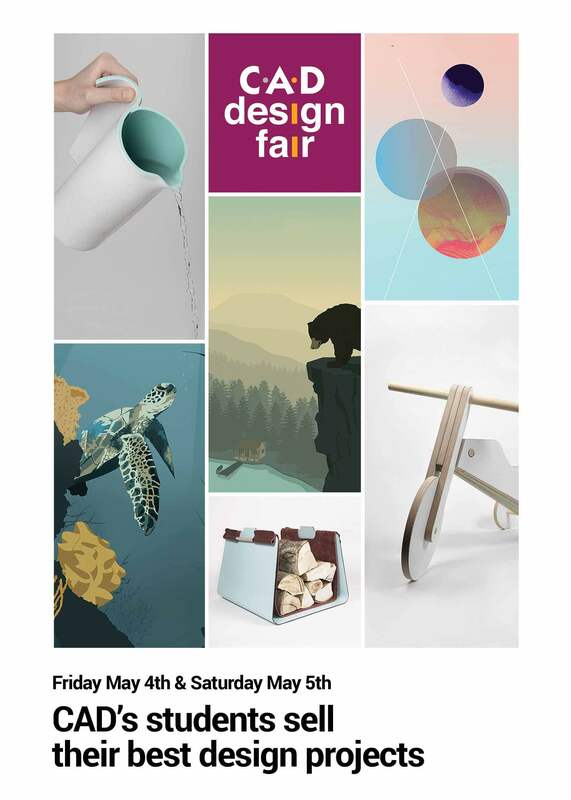 CAD’s students are delighted to invite you to the very first CAD Design Fair, which will take place on Friday May 4th and Saturday May 5th at the CAD. To this occasion, the very best of students’ projects in product & furniture design, graphic design, digital art and painting have been selected. Those pieces of art will be for sale at affordable prices*. In some cases, the unique prototype will be offered for auction while in other cases, you’ll be able to preorder a reproduction of the existing prototype, while potentially choosing the color of your new piece of art. *: all profits from those sales are exclusively for the students. Please note that prices are subject to change until the day of the event. This poster is a creation of Maëlle Lacroix, student in UX & Motion Design.